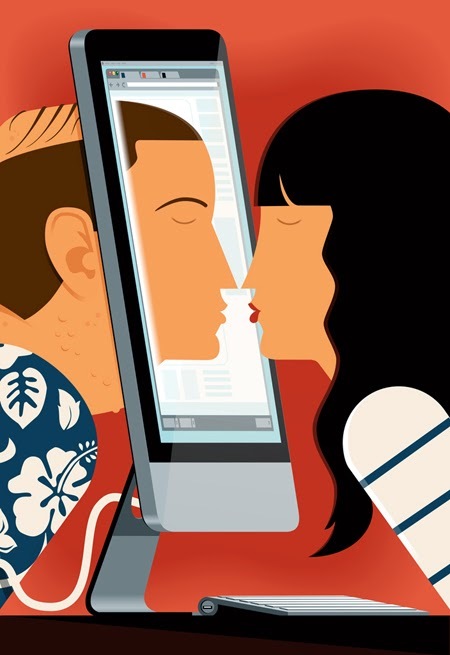 John Tomac illustrates the misleading world of on-line dating for The Boston Globe. Apparently, not everyone is exactly as advertised by their personal profiles on the dating sites. Who knew?